The Roughy project began in 2012 around the production of the ironwood stool (now being sold through our Strigiforms brand). The goal for the machine was to be able to carve a reclaimed bar stool top at fast speeds in order to obtain a part production time of 15 minutes. With this latest design we have succeeded in that goal. 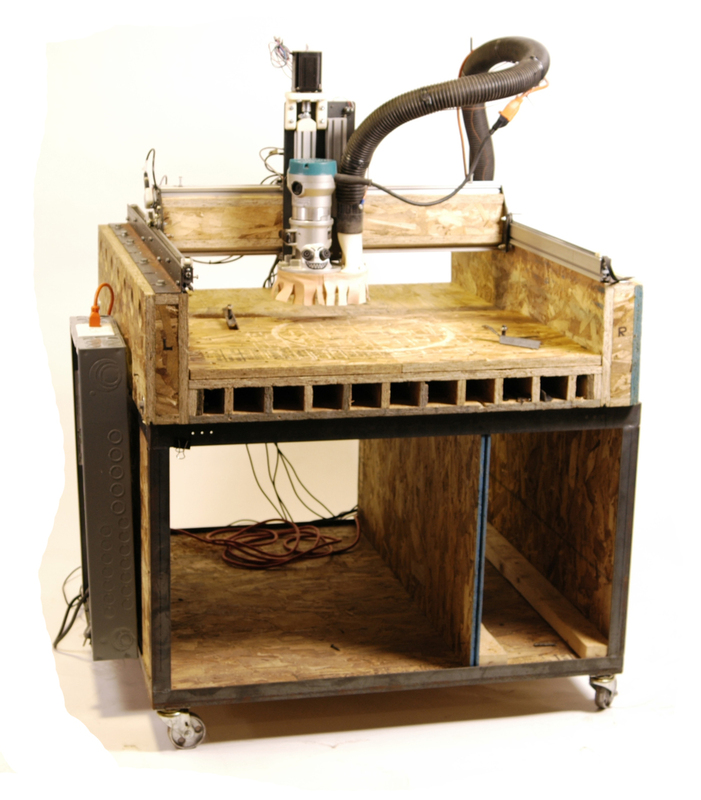 The project is a clone of the Shapeoko designed by Edward Ford and many of the parts are currently sourced through Inventibles. Much of the structural parts were inspired by the MomusCNC build and a composite wood body is a major factor of strength and vibration dampening in the design. This project would just not be possible without many other open source designs that combined together to make this CNC a reality. In order to reproduce this design you will need access to find our files on Wevolver. Assembly guides to come later on.